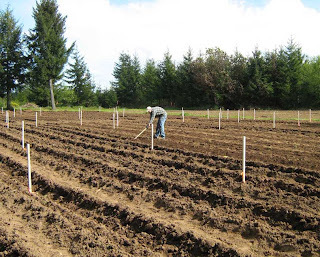 Planting's just concluded at the Farm. 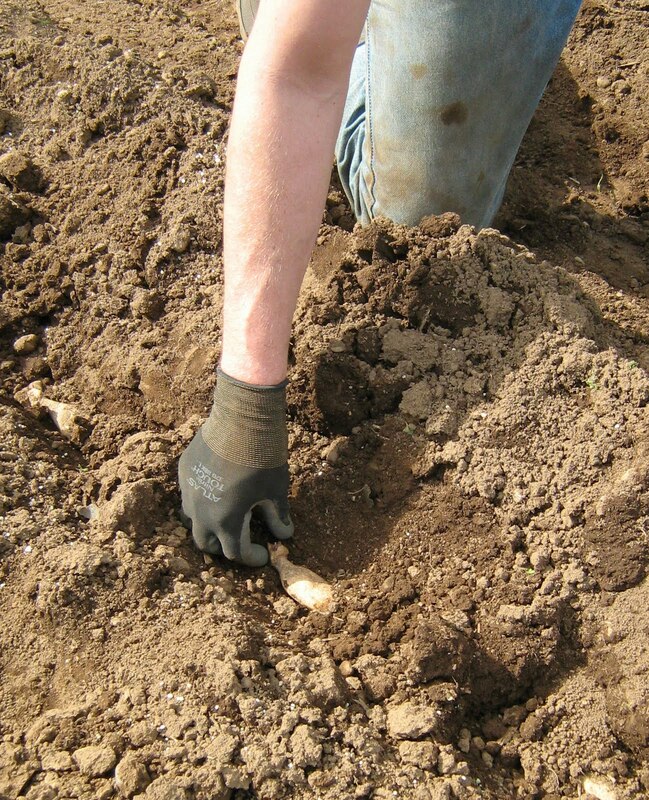 It's dahlia planting time everywhere. 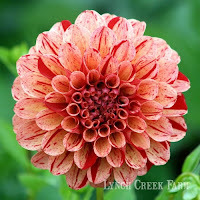 Lollipop, with sought-after soft orange-red coloring in a three-inch formal decorative bloom. Lollipop is a great producer on a bushy three-and-a-half-foot plant that provides a burst of fall color for garden borders. 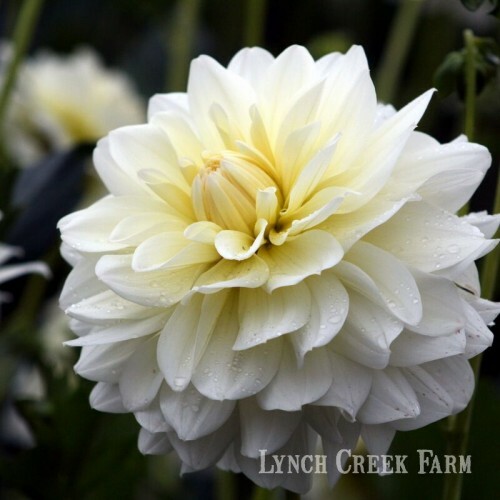 Like most of the varieties the farm offers, this is an easy dahlia to grow, and with small compact blooms, it's good for windy areas. 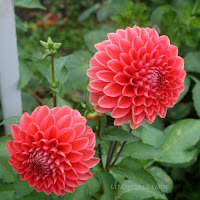 dahlia with four- to six-inch blooms. It combines intense hues of coral, orange and red. 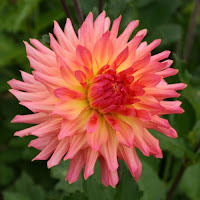 Although its stems aren't long, it's a prolific bloomer and a great dahlia for cutting. Plants are four feet high. Who could resist this splash of color in the garden? 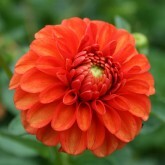 Gingeroo, a luscious bronze-orange formal decorative dahlia in the miniature category. 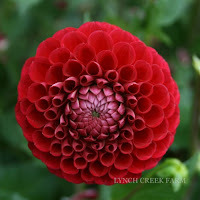 Its compact blooms are approximately three inches across. 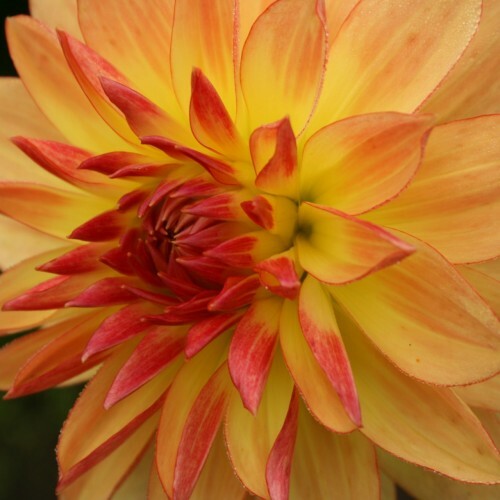 Neat in appearance and exuberant in growth and bloom habit, Gingeroo thrives in summer conditions and is a showy exhibition flower, stunning in the garden border. 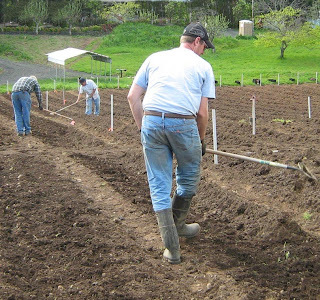 Plants are four feet tall. Alfred C, a quintessential dinnerplate dahlia. 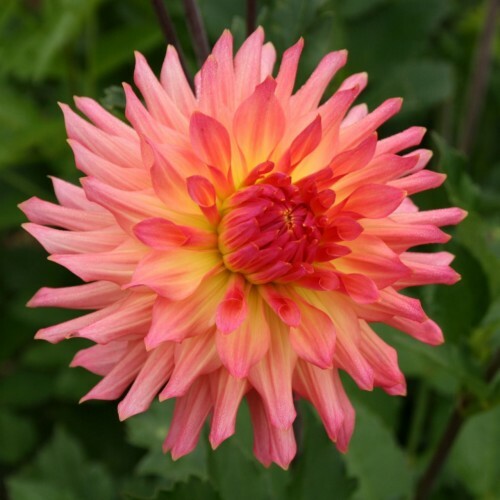 As big and bold as Gingeroo is small and tidy, this semi-cactus type dahlia features blossoms ten inches or more across in a similar blend of orange and yellow. 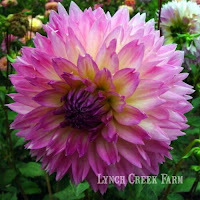 As with many of the larger dahlias, it blooms late in the summer and into the fall on five-foot plants. 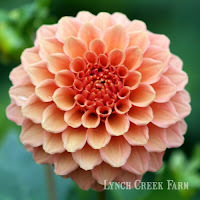 Keith H., a five-inch informal decorative that looks like a waterlily dahlia. 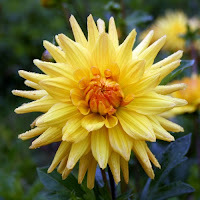 Shades of orange, yellow, bronze and gold blend in this pretty dahlia that shines in the flower bed and in arrangements. It grows on a four-foot plant. Amorous, a great variegated cut flower with strong stems on vigorous five-foot plants. A formal decorative type about three inches across, these compact blossoms feature burgundy-colored splatters on apricot. 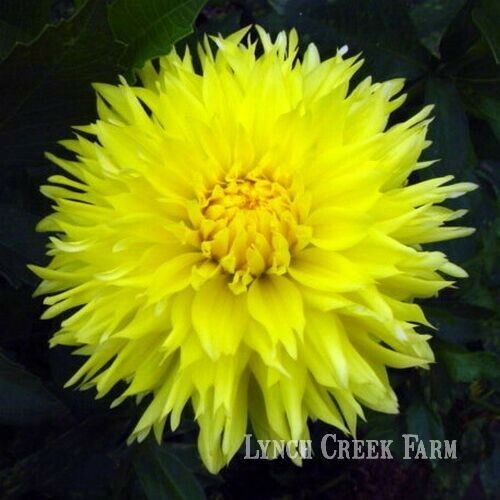 It is stunning in summer and fall bouquets and a great favorite at the Farm. Just Peachy, a fine cut flower in a luscious peach and yellow blend. Big deep blooms are up to six inches across with semi-cactus form and great stems on a five-foot plant. It's amazing for the garden and for showing as well. Pucker Up, a semi-cactus in bright (not surprisingly) lemon yellow. Terrific in arrangements or as a display variety, Pucker Up has unique dark foliage on a four-foot plant. Blooms are about five inches across. James Albin, a standby for dependable form and color. Its six- to eight-inch blooms are striking on a four-and-a-half-foot plant, and good for cutting. 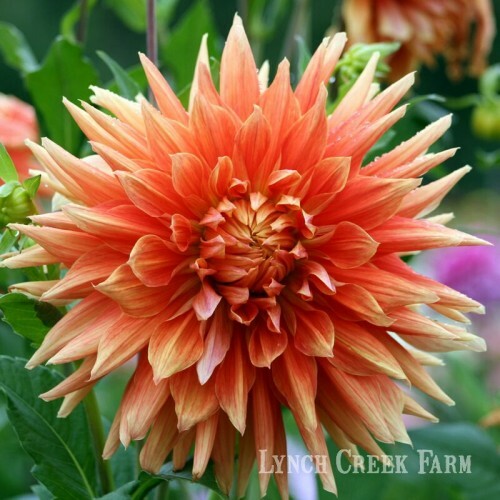 This formal decorative variety has a long blooming season. Polyventon Supreme, a soft yellow ball dahlia that's a long-time favorite at the Farm. Five-foot plants yield lots of five-inch blooms on long, strong stems that make it an excellent cut flower in a go-with-everything color. 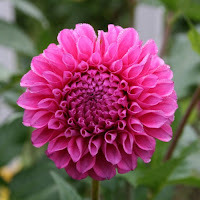 Sakwa, a simply marvelous cut flower. Intense pink with hints of white at the base of the pretty laciniated petaloids, Sakwa blooms boldly and has great stems for cutting; it's the ideal dahlia for use at weddings. Flowers are six to eight inches across on four-foot plants. 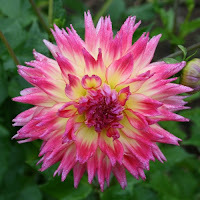 Shilo Jazzman, a superb cut flower. 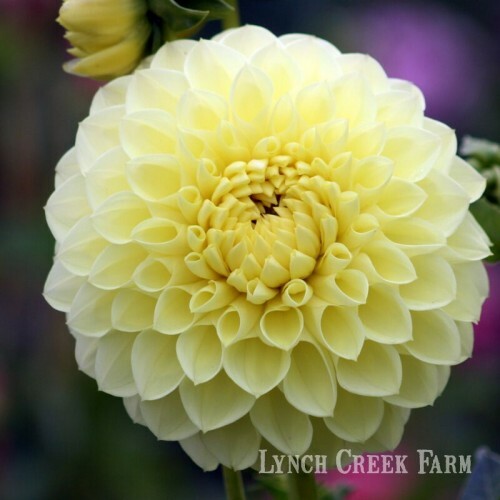 Six-inch informal decorative blossoms on long, strong stems are white with a velvety, creamy yellow at the base of the petioles. 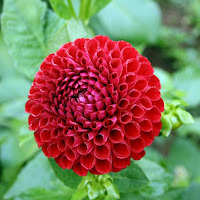 This is another one that's great for flower arranging. Plants are five feet tall. Cornel, another Farm mainstay. This deep red ball dahlia with four- to five-inch blooms on long stems is great for cutting and adds new color to the garden late in the season. Ken's Choice, a Cream of the Crop winner. 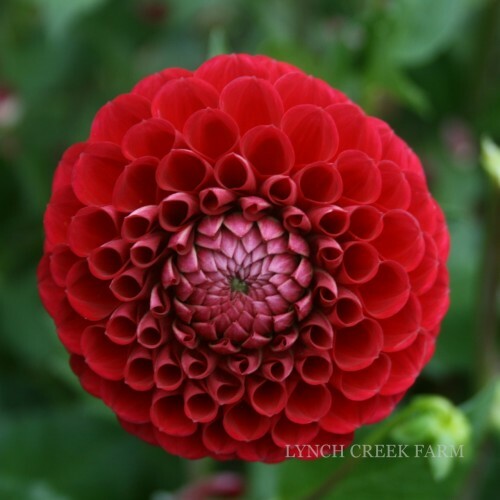 Deep, dark red color and a desirable mid-size ball form make these four-inch blooms great as cut flowers for show or bouquets and showy in the garden as well. 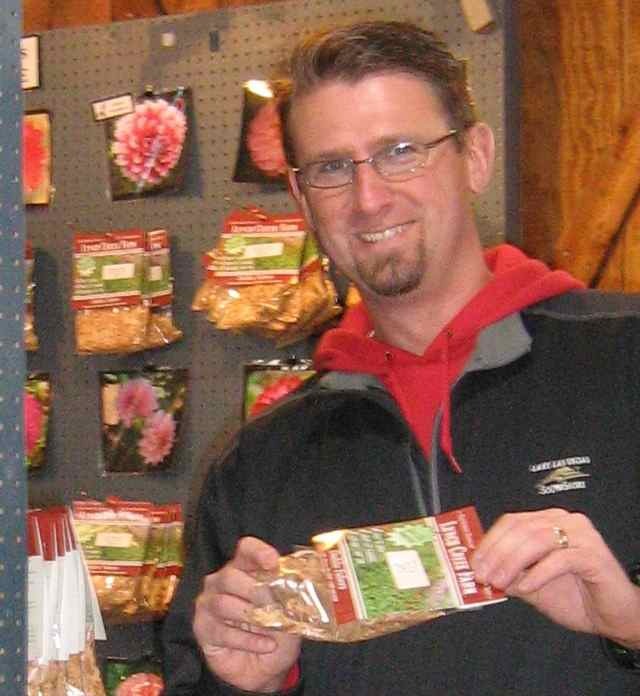 Ken's Choice produces abundant flowers on a four-foot plant.